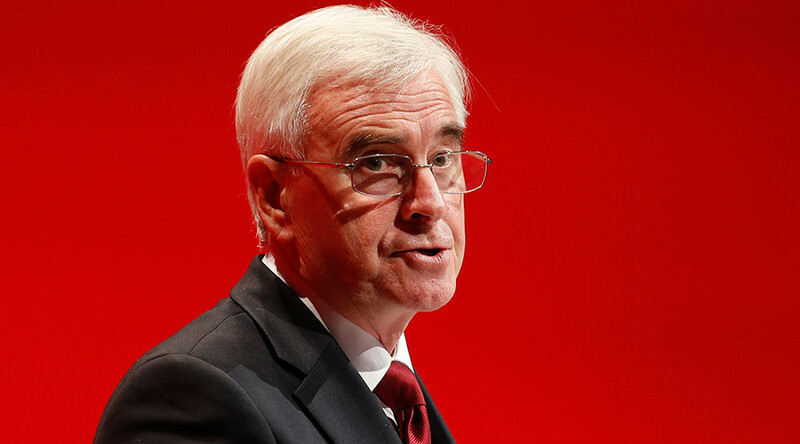 Shadow Chancellor John McDonnell claimed this week that members of his own party are in cahoots with the “Murdoch media” in a renewed attempt at bringing down the Labour leader. “The coup is not being waged up front in public but strictly behind the scenes,” the Corbyn ally wrote in a piece for the website Labour Briefing. The apparently well resourced “soft coup” allegedly includes “daily and constant”briefings to the press about Corbyn’s office and anonymous interventions on every statement made by the socialist leader in Parliament. “The plotters use every opportunity to chip away at Jeremy's standing to seek to demean him and undermine support for him in the Labour Party and among Labour supporters,” the MP for Hayes and Harlington wrote. “This constant barrage of negative briefings also crowds out any positive initiatives or narrative from Jeremy and his team. It also feeds and confirms in the public’s mind that the Labour Party is split. I'm gutted the #softcoup is not happening. I was expecting my orders from Portland Comms and @tonyblairoffice at any moment. SAD. McDonnell’s comments came after former cabinet minister Peter Mandelson told the press last week he was working “every single day” to end Jeremy Corbyn’s leadership. A spokesman for the shadow chancellor said the piece was a response to Blair’s attacks on Corbyn last week, after the piece was widely ridiculed on social media. Corbyn is not just facing criticism from Blairites. Labour’s deputy leader Tom Watson also came down on the leadership last week, saying the party had to “do better” after losing to the Tories in the Copeland by-election. “I have said it a lot recently, this is not the time for a leadership election, that issue was settled last year – but we have to do better, we cannot sustain this level of distance from our electorate,” he told the Scottish Labour Party during a conference in Perth. Barry Gardiner says John McDonnell's 'soft coup' claim was just "frustration ... he got on the late-night typewriter and penned this." It has since been announced that Corbyn will not be attending this week's Parliamentary Labour Party (PLP) meeting. Copeland campaign leader Andrew Gwynne, and shadow cabinet minister Ian Lavery are expected to manage the discussion, which will include the disastrous results in Cumbria last week.